There are plenty of people ready to be cynical about lifestyle SUVs and the Crossover models that copy them but reality is that without these kinds of cars, the 4x4 market would have petered out here long ago. With the X1, BMW looked carefully at the most affordable end of this sector and produced a product carefully designed to suit, a more sophisticated design of higher quality in the post-2012 facelifted first generation guise we're looking at here. Inevitably, the Munich maker wanted premium prices for this car, but it still remained a relatively affordable way into BMW's SUV family and provided most of what was offered in the brand's more conventional 3 Series Touring estate - for a lot less money. Plus of course it handled better than a car of this kind had any right to do. Mind you, any company capable of turning something Range Rover-sized into a sportscar was hardly going to struggle with something this small. This X1 even boasts a set of economy and environmental figures strong enough to silence the green lobby. It is in short, like it or not, a car of our times. Let's see how these later first generation models stack up as a used buy. In first generation form, launched back in 2009, BMW's X1 was a car provided to get customers onto the first rung of a ladder that the Bavarians hoped would then lead on to ownership of larger and faster X3, X5 or even X6 models. But it was also there to give BMW a foothold in the growing market for so-called 'Crossovers', essentially family hatchbacks like Nissan's Qashqai or Peugeot's 3008, cars offering a 4x4's look and feel without its weight or high running costs. This segment, along with that for RAV4-style soft roading SUVs, tends to steal sales away from conventional compact lifestyle estate cars like BMW's own 3 Series Touring. Many buyers of the Bavarian brand who might have been tempted off in such directions were kept loyal by the X1, but in its early years, this model was rather less successful in enabling the marque to garner conquest sales from the small SUVs and Crossovers it was targeted against. Many felt it lacked the premium feel of direct rivals like Audi's Q3 and by 2012, even mainstream brand products were starting to shade it in terms of technology and running cost efficiency. Hence the need for the much improved version launched in the early Summer of 2012 - the car we're going to examine here as a used proposition. 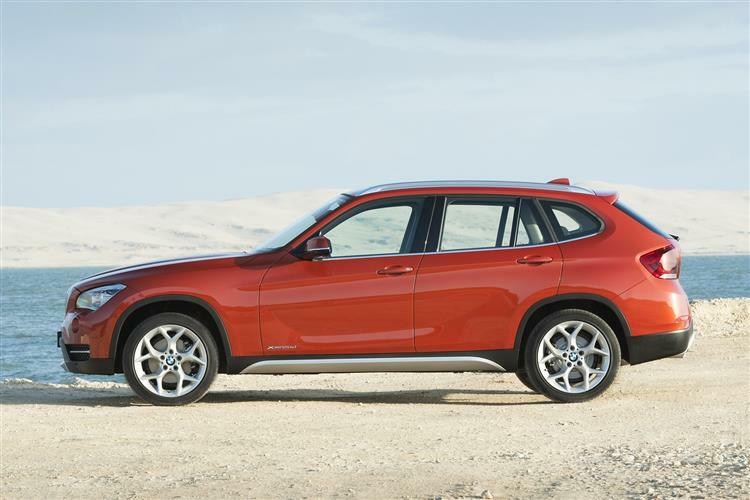 With a smarter look, a much higher quality cabin, a more powerful range-topping twin-turbo diesel, lower running costs across the board and the most sophisticated auto gearbox in the sector, it gave BMW a much stronger premium compact crossover segment offering through to the launch of the second generation X1 model in the Autumn of 2015. Though few would see the X1 as beautiful, it has all the high-sided big-wheeled butchness necessary in this part of the market, with a shape that's pretty much as you would expect a compact BMW SUV to look. Though the name - and the size, significantly smaller than a RAV4 or Freelander - suggests a 1 Series platform, there's a 3 Series Touring estate chassis underneath flowing curves and bulges that with this first generation X1 model, seem more appealing and more cohesively combined than before. That's less because the shape was substantially altered in this mid-term facelift - it wasn't - but more because when it came to this revision, the stylists spent more time getting those all-important details right. So there's less cheap-looking grey plastic and more painted metal on show. The indicators are integrated into the wing mirrors. There are redesigned headlamps too, with distinctive white LED corona rings and so-called 'active eyebrows' when they're specified in xenon form. At the rear, larger painted areas echo the frontal treatment and there's a more prominent underguard that's supposed to reinforce the sporty, off-road appearance. It's at the wheel though, where the biggest changes were made with this updated MK1 model. While the original version of his car used soft-touch plastics and materials in the areas you commonly touched, you didn't have to look much further beyond these to discover more down-market cabin finishes. Which wasn't good enough if this car was really going to tempt customers who'd just test driven, say, an Audi Q3. So the re-designed centre console of this improved X1 is completely covered in a much higher quality surface material, while the panel for the sound system and the climate control is finished in high gloss black to match the air vent surrounds. There's also smarter trim around the gearlever, the cupholder and the headlamp switch. Build quality from the Leipzig factory was improved strong too. Collectively, it's still wasn't enough to make this X1's cabin the plushest in the class, but it's certainly represented a very big improvement, with showroom appeal, as usual with BMWs, enhanced by an excellent driving position and a simple, clear and uncluttered instrument layout. All-round visibility is generally good, though the shallow rear window doesn't help when reversing. Rear seat accommodation will be fine for two adults once they've entered through the rather narrow door apertures and provided that they're under six feet tall. On shorter trips, you can squash up to provide space for a third middle seat occupant, provided they're not the whinging sort likely to object to the bulky central transmission tunnel. For longer journeys, the seat backs also recline for greater comfort, though that does of course have an impact on the luggage space you get behind them. Ah yes - luggage space. Though this car may share many of its underpinnings with a 3 Series Touring estate, it's also significantly shorter than one of those, so the bootspace - quoted at 420-litres - is around 20% less. 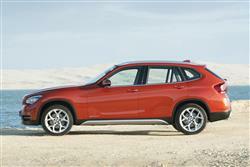 And around 30% less than the 550-litres you'd get in an X3. We mentioned earlier that this is of course affected by the angle at which you pitch the rear backrest. If your back seat passengers don't mind a very upright position, it can be as much as 480-litres: if, on the other hand, they prefer to lounge backwards, it can fall to as little as 360-litres. Still, either way, you'll be able to accommodate most typical loads: say a couple of 46-inch golf bags stowed width-ways. Or, if you fold down the centre part of the 40:20:40 split-rear bench, you could pitch them length-ways. With this section down, you could also accommodate, say, a couple of snowboards or up to four pairs of skis. Fold all three of the rear backrest elements flat and there's a potential loading capacity of up to 1,350-litres. BMW's reliability is such that there should be no major problems with the X1 and if any major work is needed or has been done to a certain car, it's probably not been looked after - walk away. Make sure that servicing has been correctly carried out at a BMW main dealer. Given this X1's 'crossover' rather than full-SUV status, it's unlikely than any given car will have been subjected to any off-road heroics, but check around the sills just in case. Kerbed alloy wheels and signs of interior child damage are much more likely. Use these as negotiating points with the seller. [based on 2012 model year X1 sDrive 16d - parts prices from rexbo.eu] It's relatively easy to find affordable parts prices on the internet. We found that online, you could expect to pay around £10 for an air filter, around £13 for a brake pad set, from around £85 for a starter motor and around £336 for an alternator. Obviously, the cost of parts at a BMW franchised dealer will be higher. You'll pay, as ever, for that peace of mind. So, on the move: what's it like? Well, the driving position mirrors the drive itself: somewhere between a family hatchback and a proper SUV. Grasping the chunky wheel and peering down the sculptured bonnet, you sit higher than you would in a 1 Series or 3 Series, but it's not like being in a conventional RAV4-like soft roader - or indeed BMW's larger X3. Which is no bad thing when it comes to throwing the car through a set of twisting corners. BMW claims this car provides 'supreme agility' in its class (whatever 'class' that is) and, true enough the experience, though a little soul-less, is more accomplished than that of most other Crossover or small SUV models we've driven. There's a slick 6-speed manual gearbox and remarkably little bodyroll, despite the substantial 1.6-tonnes of weight this car must carry around. It's certainly more 'chuckable' than an X3. More justification for purchase of this car comes with the ride quality. Courtesy of the multi-link rear suspension set-up, it really is particularly good - better even than the 3 Series Touring estate the X1 is based on - making light work of even badly rutted tracks, though the steering is a little heavier than buyers of compact BMWs will normally be used to. Assuming that they haven't chosen the minority interest 184bhp 2.0i petrol model, those people will also notice a little more road noise from the familiar 2.0-litre diesel engines that all other X1 versions must have. Whether those variants be sDrive rear wheel drive models or xDrive 4WD variants. X1 diesel drivers certainly aren't short of choice, for this familiar common rail four cylinder turbo unit is supplied in five main states of tune: 116bhp in the X1 16d, 143bhp in the X1 18d, 163bhp in the 20d 'EfficientDynamics' variant, 184bhp in the 20d and 215bhp in the twin-turbocharged 25d variant. All are pretty rapid, with even the 16d making 62mph from rest in 11.5s en route to 118mph. At the other end of the scale, the 25d model manages the same sprint in 6.8s on the way to 142mph, courtesy of 450NM of torque. We're struggling to think of many SUVs of any kind under £50,000 that are quicker than that. The 25d version comes only with the 'intelligent' four-wheel drive system that's optional with every engine, bar the entry-level diesel unit. The 'intelligent' tag refers to the fact that, like most other such systems in this class of car, it's able to automatically vary the torque distributed to either front or rear axles depending on your driving requirements and the amount of traction available. At the same time, when extra grip is needed, all of the traction, stability and safety systems are optimised into 4WD mode. The whole thing's done seamlessly, with no unfamiliar knobs or turn or buttons to press, but it's very much geared towards slippery on-road conditions rather than off piste antics. Even if you didn't already know that, you could easily guess as much from one glance at the limited ground clearance, tarmac tyres and lack of any kind of under-body protection, issues which, to be fair, are shared by most of this car's competitors. All of which may lead you to conclude that four-wheel drive, though nice to have in a snowy snap, may not be worth the marginal loses in economy and performance that you'll have to put up with for the rest of the year. For most buyers, a better use of the premium required for the xDrive layout would be to invest in BMW's Performance Control system which more accurately distributes power between the rear wheels. Or perhaps the 8-speed automatic gearbox which, with both paddleshift and 'Sport' settings, is easily the most sophisticated auto transmission on offer in this market segment. To buy the X1 in its original form - the car produced between 2009 and 2012 - you needed to be sold on the idea of a BMW and be possessed of a budget not quite generous enough to get yourself the kind of larger X3 model you'd ideally have chosen. In this improved first generation guise though, this car set its sights a little higher, so makes a much better used buy as a result. Yes, there are smarter and more purposeful-looking SUVs and Crossovers you could choose for the same kind of money, but against those, this BMW offers a range of unique selling points. It's alone in this segment in offering the option of a rewarding rear-wheel drive layout. And a far smoother and more sophisticated 8-speed automatic gearbox. Plus you get ride quality that's arguably best in class. You'll also be tempted by the badge equity of course, which in this revised MK1 model is properly supported by the premium feeling you'll get behind the wheel or when the car's in your driveway. Add in running costs that are difficult to beat in this segment and you've a proposition that at last is good enough to reach out beyond the BMW faithful. Especially to buyers well-heeled enough to consider the top 25d variant. After all, 215bhp and over 50mpg aren't usually figures you see together in the same sentence. 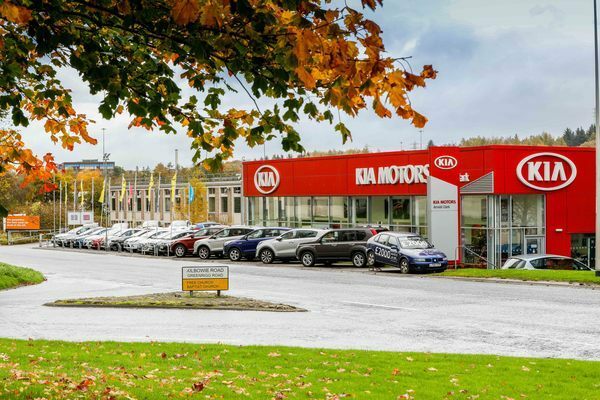 It all adds up to a car very well worth short-listing if you're looking for a satisfying ownership proposition amongst the many compact SUVs and Crossovers now on sale. It still isn't an obvious choice. But now, it's one you might just enjoy making.